Apple to eliminate fingerprint scanners on all 2018 models? For 2017, Apple kept its Touch ID fingerprint scanner on the Apple iPhone 8 and Apple iPhone 8 Plus. The tenth anniversary model, the Apple iPhone X, doesn't employ a fingerprint scanner at all. Despite efforts to embed Touch ID under the display, Apple could not perfect the technology and focused instead on Face ID. 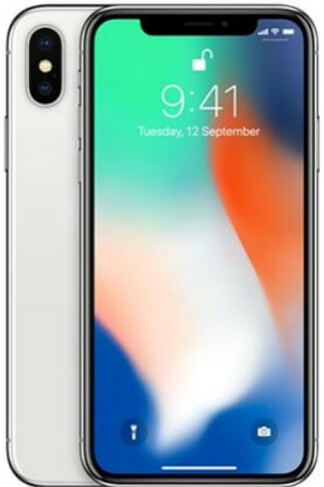 With the front-facing TrueDepth Camera providing facial recognition capabilities, a glance at the iPhone X by the user can unlock the device and verify identification for Apple Pay. Today, KGI Securities analyst Ming-Chi Kuo, recognized as the best Apple analyst on the planet (or at least the most connected), reiterated a comment he made last month. He predicts that Touch ID, which debuted on the Apple iPhone 5s, will go the way of the 3.5mm headphone jack with the 2018 models. The analyst says that all iPhone models to be unveiled in 2018 will come with the TrueDepth Camera and Face ID. Just a few days ago, he said that starting with next year's new models, the Apple iPad Pro will come with the TrueDepth Camera and Face ID. Apple wasn't the first to include a fingerprint scanner on a smartphone (remember the Motorola Atrix? ), but it was the first to make it work. Other manufacturers followed Apple and now 70% of Android phones to be launched next year are expected to feature a fingerprint scanner. And it appears as though Apple is leading the way again. Last week, KGI's Kuo said that Android manufacturers are shifting their focus from putting a fingerprint scanner under a phone's display, and instead they are working on developing something similar to the TrueDepth Camera so that they can offer a facial recognition system like Face ID. There is something important to point out. There have been very few real life tests of Face ID. All of the excitement over Face ID might be considered preliminary until enough people have tested it. oh !! I don’t hope so! I prefer Touch ID because I don’t think Face ID will be good and fast always! I agree with you, I think Touch ID is the way to go. The Sad thing is android manufacturers will probably follow and ditch fps. They cannot follow, they don’t have FaceID. lol... but Windows does with "Hello"... and it is basically a Kinect, there are several ways to implement a good Face recognition... I have to say that Fingerprint Scanners are best for phones, and Face scanners are best for laptops.... Apple has it completely backwards... For me, my XZ + Surface Book is the best combo in that regard. "They cannot follow, they don’t have FaceID" It's Apple who's followijng, Honor had 3D facial recognition on the Honor Magic in early 2017. Yup they can't coz they are coming up with under screen FPS. Samsung uses iris scanner. N they have stated they are not ditching the finger print scanner just yet. They are still trying to get it under the screen 1st. Samsung didn't and likely won't. Qualcomms new ultrasonic finger print scanner is going further then Apple went. Especially when it can work under water, or with dirty fingers, and it cannot be faked using a copy of someone's finger print. Yep in a month we will find out how error prone face id is, and that Apple's demo failed as we stated it did and you all will be on the defensive. Face ID haven’t test yet, give it benifit of a doubt won’t you? I would love to that OEM give us option to choose which future to use. So far I love Touch ID, it serve me well. I think Face ID will work well and fast and all that and may offer some convicence over Touch IDi in some scenarios and be disadvantageous in some but I'd still like to have both. Sounds like you want a Galaxy, yet you despise Samsung. Now I can picture Timmy drop his jaw and coffee when he first saw Samsung Iris Scanner lol. Back to the table boys we got works to do. Yes I rather have touch ID myself. I am waiting for Note9 for the front finger print. Apple is leading the way? Um... Yes, they may be refining the technology... but it's hard to lead when you're 2 years behind. That's exactly why I hope they'd stop being the industry leader. Android makers are following their lead and it's systematically making the smartphone market anti-consumer. I'm happy with touch ID. I don't want that lame duck facial crap feature. You'd be amazed, or not, what 'courage' makes one do. Apple seems to have truckloads of it lately. Go Apple, go! I'm very suspicious against FaceID. When I use the face unlock feature of any of my Android devices, there are two big problems that influence its accuracy; challenging lighting conditions and angle between face and handset (basically we hold our phones in a way that they face our chin rather our face). Of course Apple claims that they have taken care of these issues with the deployment of infrared and 3D scanning, but I doubt if these measurements will work 100% of the time. What happens e.g. when you want to unlock your phone while facing elsewhere? E.g. people unlock their phones all the time while driving. It's already dangerous enough using your phone while driving, imagine how much more dangerous it would be to have to bring the phone to your face all the time while driving. The only reason for me to skip iphone x from iphone 6 is lack touch id. Face unlock is retarded. Adding an extra step to unlocking your phone isn't making things easier. Face unlock requires you to grab the phone (At this point phones with fingerprint scanners have now unlocked), hold it up unnaturally and THEN swipe !! Way to innovate !! Why don't you create your own phone with the specs you've mentioned rather than carp on what Apple has to offer.